Arizona State Parks' site includes the latest information about the state parks, information about the partnership programs (historic preservation, grants, trails, etc.) and even a trivia challenge. 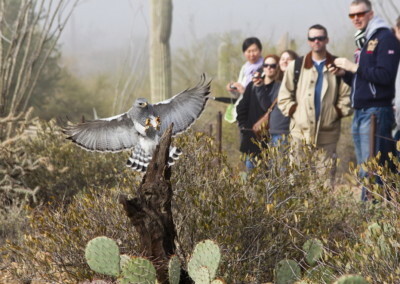 Check out the world-renowned Arizona-Sonora Desert Museum by visiting their site, which gives detailed information about their exhibits and grounds, membership information, educational programs, and more. The International Wildlife Museum has displays of animals from all over the world in their natural habitat. Visit their site for more info. The Colossal Cave site has information on Colossal Cave, a popular site for people of Tucson and tourists. The cave is on the National Register of Historic Places, and had been used for centuries by prehistoric peoples before it was "discovered" in 1879. The web site of the Tucson Arts District offers a calendar of cultural events for the month. Pages explain events such as the Tuesday Night Art Walk, the Phantom Gallery, and Downtown Saturday Night. Arizona’s Biosphere 2 Center allows the public to visit a closed, self-sustaining mini-world that houses 7 different ecosystems. Their site has more information about tours and admission prices. Experience the indigenous cultures of Arizona, the Great Southwest, and northern Mexico at Arizona State Museums. Dynamic exhibitions, engaging programs, a renowned research library, and an education. The Pima Air and Space Museum gives visitors a chance to experience the history of flight. Their collection has grown to include over 200 aircraft. Follow the link to their page for more details. Funtasticks Family Fun Park is fun for the whole family with go-karts, bumper boats, batting cages, and mini-golf. The Titan Missile Museum is actually one of the 18 missile silos that were in Tucson before the SALT treaty called for their de-activation. Visit this site for more information about public tours and hours of operation. The Tucson Children’s Museum has interactive exhibits specifically designed to stimulate a child’s intellect. Their site also has information about special events at the museum. The Tucson Museum of Art houses more than 4,000 works of art in their permanent collection, and they have 15 to 20 changing exhibitions throughout the year. Stop by for more details, including admission prices and hours of operation. The Center for Creative Photography at the University of Arizona is a museum and research institution dedicated to photography as an art form and cultural record. De Grazia's Gallery in the Sun welcomes thousands of visitors each year. Unique adobe construction, beautiful decorative features, and original De Grazia art characterize the gallery that was designed by the artist and constructed under his supervision. 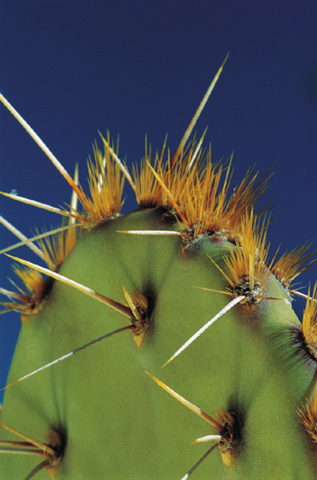 The Botanical Gardens illustrates the evolution of the gardening in the Tucson basis, from the imported lushness of the 1930's to the nakedly cactus and succulent gardens favored today. The Reid Park Zoo’s page contains information about business hours, admission rates, and more. Don’t miss this attraction, home to over 400 exotic animals! 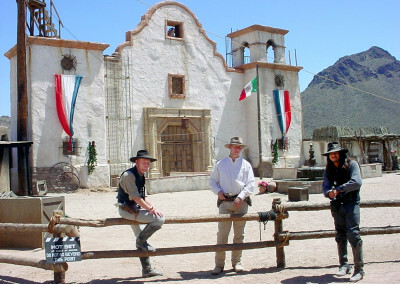 Old Tucson Studios provides great acting, entertainment, rides and attractions! Experience the old west through movie sets, film memorabilia, and authentic items from the past. Rejuvenate while visiting Tucson’s Tohono Chul Park, dedicated to the plants, wildlife, and culture of the region. Visit the link for more details about park hours and admission. The Flandrau Science Center promotes scientific learning through their hands-on exhibits, mineral museum and laser shows. Follow the link to the site for more details. Arizona Theatre Company is the state's leading professional theatre, performing six productions at the Temple of Music and Art in Tucson and at the Herberger Theater Center in Phoenix from September to May. Visit Arizona Opera House, Arizona’s premier opera house since 1971. Check their site for details about their seasons, ticket prices, and more. The Tucson Symphony Orchestra has ticket packages, ticket prices, season information, and their newsletter available at their site. The goal of Dance Theater Southwest is to present professional dance throughout Arizona and eventually all of the southwestern US. Stop by their site for more info about their season and tickets. Visit Tucson Arizona Boys Chorus for information about how this organization gets Tucson’s boys involved in choral music. Their site has more details about the boys, their performances, and how to join. UA Presents gives details about events at UA’s Centennial Hall, from music to opera to ballet! Don’t miss their site for more details. Find out more about the Tucson Padres, our local Triple-A affiliate for the San Diego Patres. Their site includes ticket information, schedules for their home games at the Kino Park, and information about Padres merchandise. Tucson Raceway Park is a 3/8 of a mile track that hosts NASCAR races for Late, Super Late, Grand American Modifieds, Factory Stocks, and Mighty Compacts. The park also features demolition derbies, motor cross, monster trucks and many other special events. Bisbee Mining & Historical Museum preserves this town's architecture and mining landscape while welcoming, educating, and entertaining it's visitors. An educational museum with an emphasis on science and space technology, Discovery Park features the Gov Aker Observatory, containing a 20-inch optical telescope, the world's largest known Camera Obscura, and many fascinating science exhibits and programs. Kartchner Caverns is a stunning limestone cave that boasts many world-class features that have been protected since the cave was discovered in 1974.